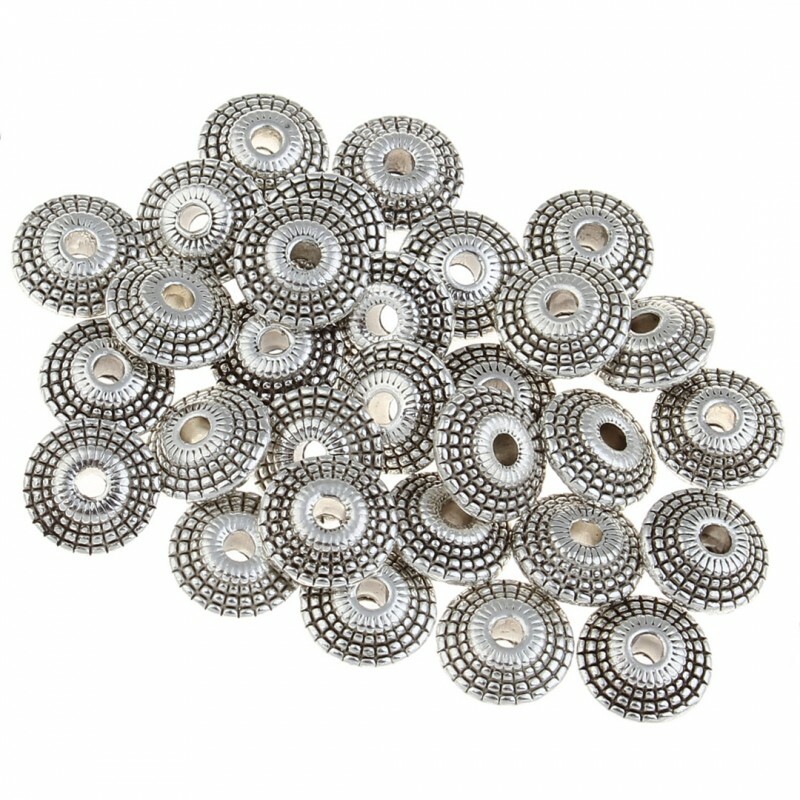 Silver bead or separator with lentil shape for costume jewelery. 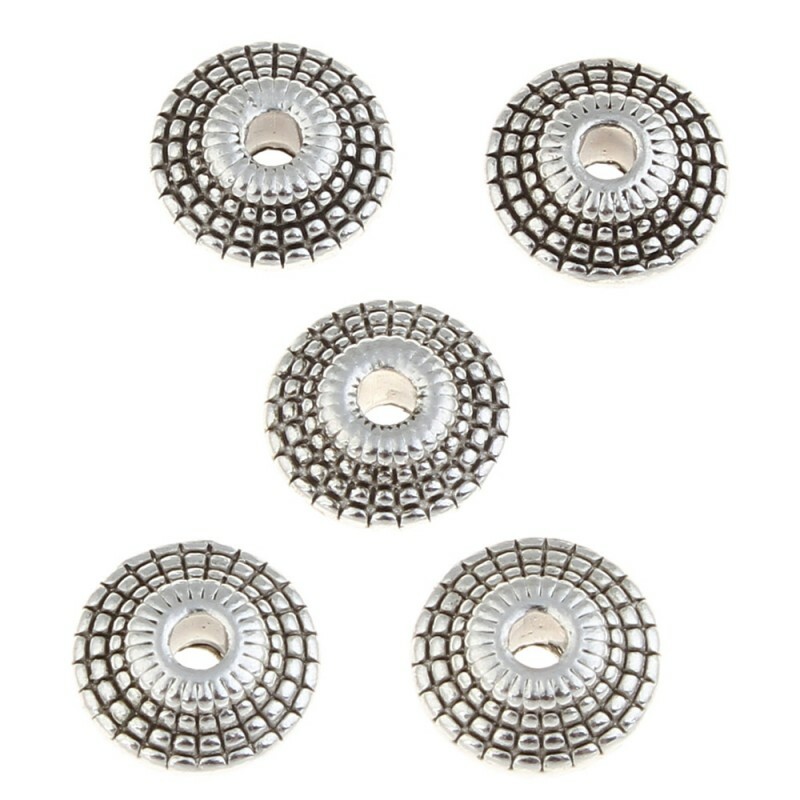 This silver bead is presented in the form of a lentil with grooves and has a central hole for threading, it is used in jewelry to make necklaces or bracelets. 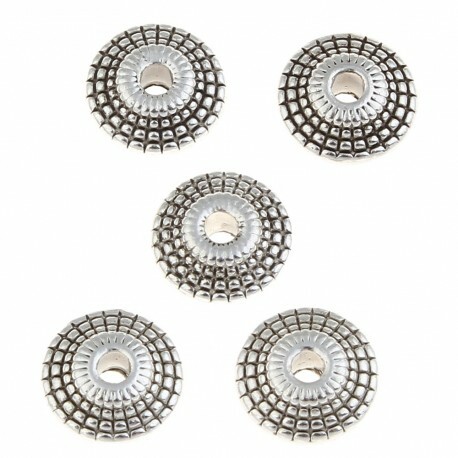 The measures of this ornament are of 8 mm x 3,50 mm, and its hole for threading measures 1.5 mm in diameter. 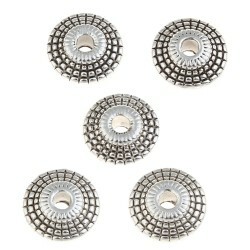 It is made of an aged silver zinc alloy. It is sold in bags of 20 units.